"Demi-Vintage" features front and side bottom leg panel constructed from comfort stretch with hand-picked vintage flags. Tre by Natalie Ratabesi denim jeans with flag panels. Please note: All jeans cut and hand-sewn, one at a time. No two jeans or finishes will be the same. Flag patterns and shades will vary from jean to jean. 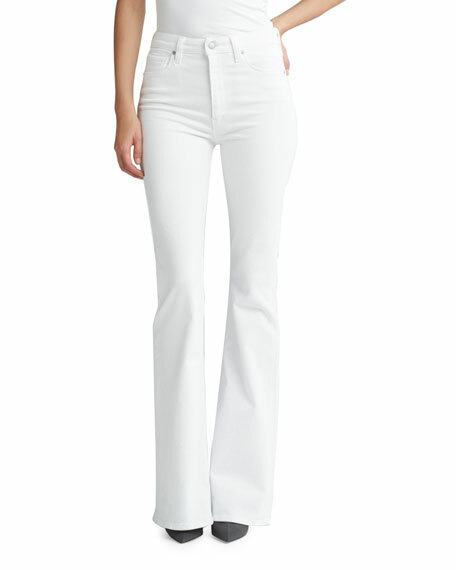 Alexander McQueen jeans in 12-oz. patchwork stretch denim. Approx. measurements: 26" inseam; 35" outseam. Low rise. Five-pocket style. Slim fit with flared kick-back leg opening. Full length. Frayed hem. Button/zip fly; belt loops. Cotton/spandex. Dry clean. Made in Italy. Exclusively ours. FRAME "Le High" jeans in indigo-wash denim with pintuck details at front. High-rise; belt loops. Five-pocket style. 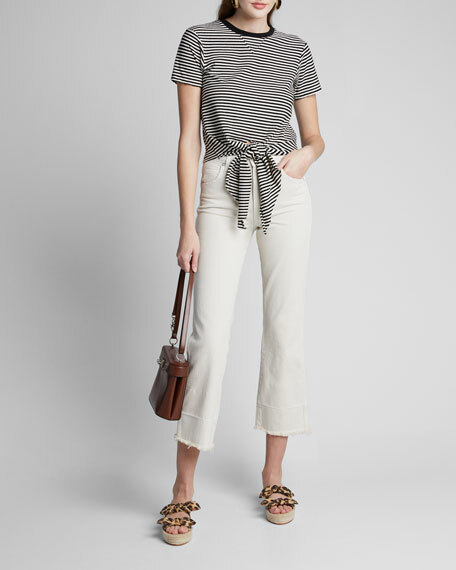 Slim fit through flared legs. Full length. Button/zip fly. Cotton/polyester/spandex. Made in USA of imported material. 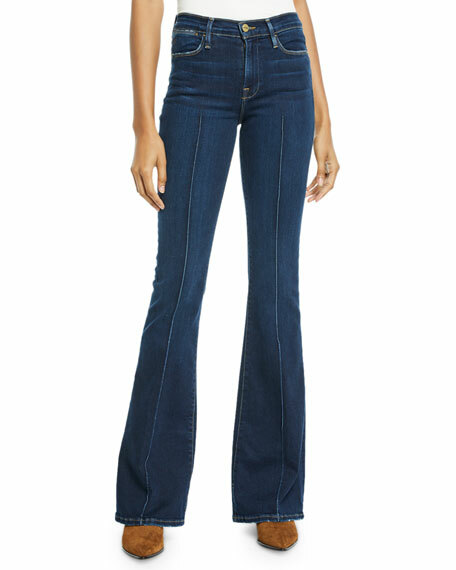 Hudson "Holly" jeans in super stretchy denim. Approx. 11" rise; 32" inseam; 23.5" leg opening. High-rise; belt loops. Five-pocket style. Slim fit through thighs; flared from knees. Full length. Button/zip fly. Cotton/polyester/spandex. Machine wash. Imported.